Kody is a Colorado Springs native who enjoys riding his Harley and exploring the vistas of Colorado. He loves to interact with people and is passionate about insurance because of his desire to serve and help. 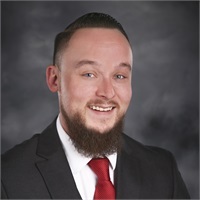 His motto; “To ensure each client is satisfied and completely understands their options and coverages.” Kody has worked in the insurance industry for many years starting at USAA and joined the Don Bates agency in April of 2013 and is here to help you protect you and your family’s most valuable assets.